Where to download Copag playing cards (SVG)? 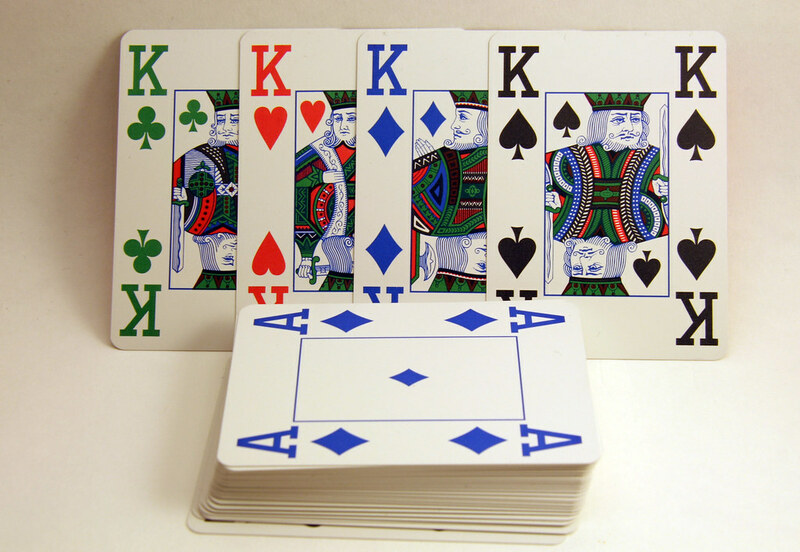 Where can I download these face images for Copag playing cards (jacks, queens and kings only) in SVG format ? Re: Where to download Copag playing cards (SVG)? But I need those face images from my screenshot. I can't quite see yours close enough to be sure, but they appear to be the same faces, just colored differently. brynn wrote: I can't quite see yours close enough to be sure, but they appear to be the same faces, just colored differently. Coloring isn't the only difference. I can't find those Copag cards even in PNG. do you know the exact name of the set ? The exact name of the deck is Copag 4-pip 4-colour jumbo index playing cards. Did you ever find those Copag figures in svg ? Please pm me if your research ended somewhere, because i am in the same position as you where then and i could use some help.